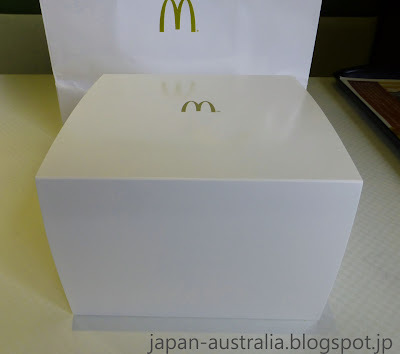 McDonald’s Japan revealed this week that it will offer a special series of premium burgers called “Quarter Pounder Jewelry Burgers” for a limited time in July. 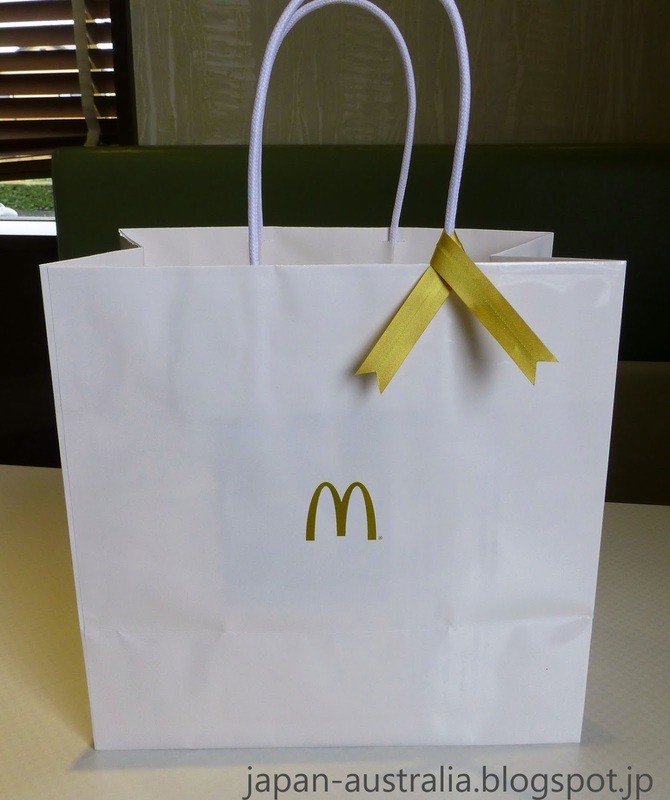 Each burger will be priced at 1000 yen (USD$10.00) and will be sold at all outlets across Japan for just one day. The first burger was available today (July 6th) with the next on July 13th followed by July 20th. You may remember that McDonald’s Japan only just recently launched the Premium Quarter Pounder Burgers with the Quarter Pounder BLT and Quarter Pounder Habanero Tomato. The first Jewelry Premium Burger went on sale today (July 6th) and was the Golden Ring Burger featuring thick-cut smokey bacon, pineapple, beef patty, Monterey Jack cheese and fruity barbecue sauce. Next on the list is the Black Diamond Burger on July 13th, featuring a black truffle sauce, Emmental cheese, and grilled mushrooms and onions. The last will be the Ruby Spark Burger on July 20th, featuring chorizo, avocado and pepper jack cheese. The burgers cost 1000 yen (USD$10.00) with no French fries or soft drink, which can be added for an extra 200 yen (USD$2.00). 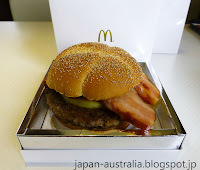 You will need to hurry as these have been very popular and the Golden Ring Burger was sold out around lunch time at a lot of outlets around Japan. Japan Australia was intrigued by these new burgers, so headed out today to track down the Golden Ring Quarter Pounder Burger. The Golden Ring Burger is served up in a special jewelry box container and bag with ribbon. We felt like we had just made a purchase at Tiffany’s or something! It certainly is a luxurious start to a meal and made us feel very special. It was only available today and was sold out quite quickly so we had a little difficultly tracking one down, but managed to do it after a few stops. Tip: You better hurry in on July 13th if you want to try the Black Diamond Burger. The Golden Ring Burger features thick-cut smokey bacon, a slice of grilled pineapple, a decent size beef patty, Monterey Jack cheese and a fruity barbecue sauce with more than 10 different spices. These are all contained with a crunchy bun topped with poppy seeds. We were very happy with the taste and it was one of the best burgers we’ve had this year anywhere. 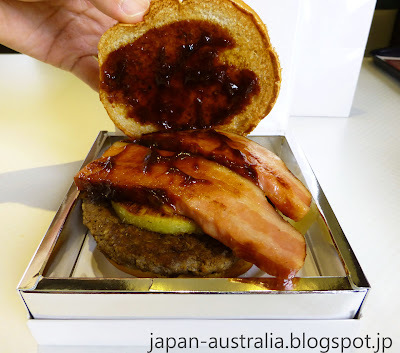 The first thing we noticed was the thick cut smokey bacon, followed by the sweet pineapple which compliments the fruity barbecue sauce perfectly, and keeps the beef patty nice and moist. We also really liked the bun that was soft on the inside and crunchy on the outside. Some people will say that 1000 yen is too expensive for a burger. Yes, it probably is, but when you factor in the whole experience it was very worthwhile in my book. Already looking forward to the Black Diamond Burger next week. Is that real bacon? 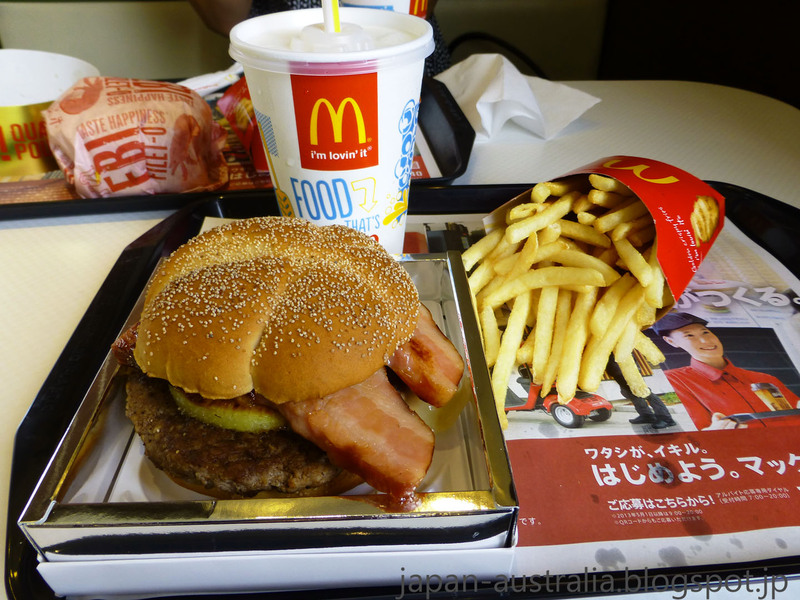 As in genuine dinkum 100% real bacon, not the bland artificial ham that's called "bacon" in Japan?